Hi, I'm Aimee, and I'm a stationery addict. It's true, I have approximately 4.5* 2016 planners floating around that I've been collecting since the end of 2015. Plus to-do list pads, notebooks, stickers and pens galore! I just can't get enough. And yes, I do use all of them. But the planner that really stands out for me is the Stick To Stigu 2016 Planner*. 2016 has seen me experiment a little with different planner styles, and I've found I'm really drawn to both the vertical design of The Happy Planner, and the horizontal design of the Stick To Stigu Planner. The horizontal design offers an easy, quick view of your day, whilst still providing plenty of space to make a note of all your appointments and reminders. Whilst the horizontal offers more space and the delineation between morning, noon and night! My complaint with nearly all the planners I've been collecting since 2015, though, is this; THERE'S NOT ENOUGH DAMN NOTES SPACE!! Ahem, right, sorry about the little outburst. But seriously, how is one notes page enough?! If you're anything like me, you're forever jotting down shopping lists, phone numbers, passwords! This is where the Stick To Stigu planner really corners the market. THERE'S SO MUCH NOTE SPACE!! On the left you have a page purely for all your scribbles your to-do lists, and your doodles! And on the right is the diary page with space for all your appointments and reminders! There's also oodles and oodles of plain paper at the back of the planner, in case you run out of space. SO MUCH NOTE SPACE! It's the little things, guys. Now, let's be honest, starting a new week can be boring. Because, Monday. Ugh. But the Stick To Stigu planner makes the start of a new week exiting...or, at least, a little bit more bearable, with rest and zest practices, and fun illustrations on every page. It's easier if I just show you, to be honest! When I first opened the planner, I felt that the spaces for each day would be too small to actually write anything in. But I was wrong. As you can see from this picture I've plenty of space to note down all my appointments and reminders, as well as jazz the plain white pages up with a few stickers! And that is what I love about the Stick To Stigu planner; THERE'S JUST SO MUCH SPACE! Seriously, though, best diary ever. And if you don't already have a planner for 2016 a) what are you doing with your life? 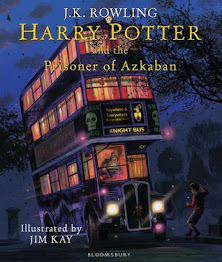 and b) you need this diary. 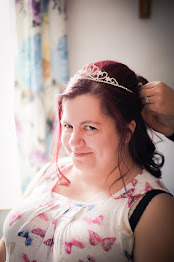 It will really help keep your organised and sane! Do you use a planner to help keep you organised? 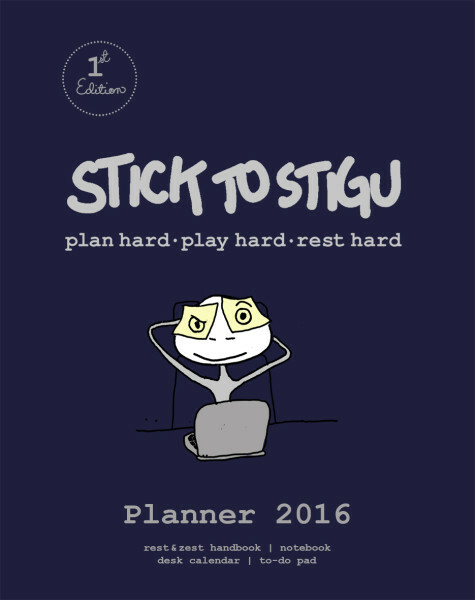 What do you think of the Stick To Stigu planner? You can buy the Stick To Stigu planner on Amazon. *I don't know how I ended up with half a planner, either! That looks like a great planner! I'm like you and I NEED plenty of note space. I love all the little illustrations and bits in the diary too, it's a great idea!